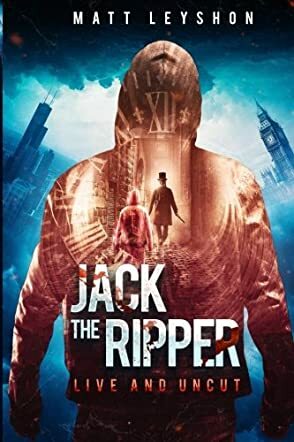 Jack the Ripper: Live and UnCut by Matt Leyshon is a clever combination of historical fiction, time travel, science fiction, and murder mystery. As the title suggests, the story centers around the real-life murders of Jack the Ripper back in 1888. An investigative reporter from today’s time, named Carl Axford, is given the chance of a lifetime - to go back in time and find out the identity of the infamous serial killer. As the plot unfolds, Carl gets a front row seat to some gruesome events and, as often happens in time travel tales, a simple mission becomes more complicated as the story goes on. This book has brought a whole new perspective to the unsolved murders of Jack the Ripper. I found myself fully committed from the early pages. The idea of being able to watch how the Ripper murders took place, through the eyes of our protagonist, was thrilling to me. This book succeeds on several levels. First, it’s a well-written murder suspense novel with the extra added bonus of time travel. It keeps you on the edge of your seat, waiting to see what will happen next. Second, it appears to have been well researched and is packed full of interesting details about the setting and the people from 1888 and the way they lived. I also enjoyed the main character, Carl Axford. He is smart and fearless, yet caring and sensitive. Matt Leyshon has given us a thrilling account of the Jack the Ripper murders with an original twist that is great fun to read.